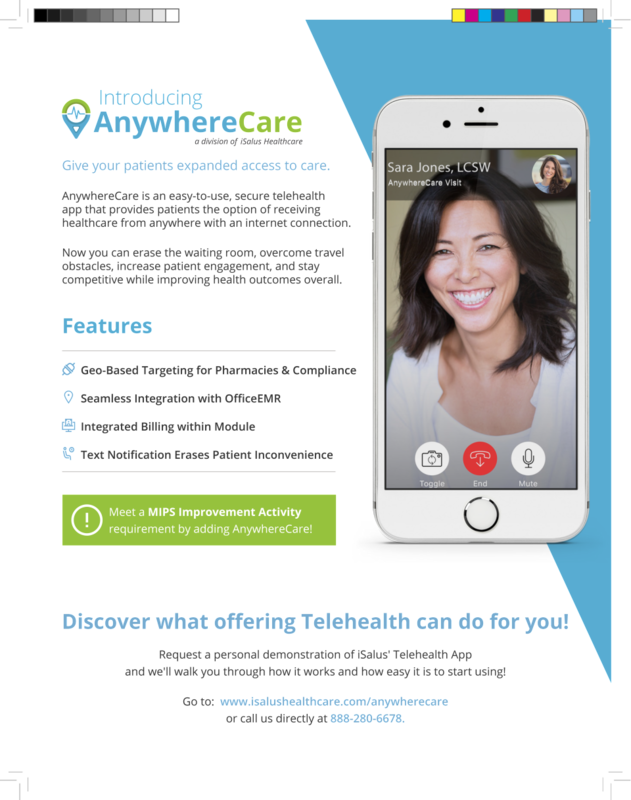 Now you can join the fastest growing segment in the healthcare industry, telehealth. 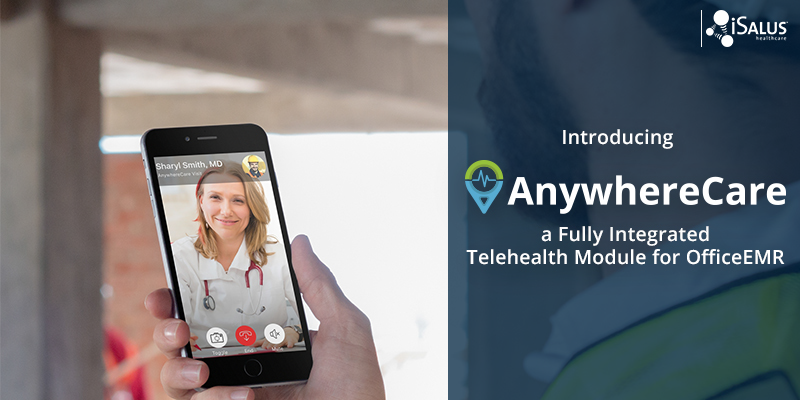 Introducing AnywhereCare, a fully integrated telehealth solution built directly into OfficeEMR which provides seamless communication with the certified EHR and all other iSALUS products. Don't use OfficeEMR? That's okay! 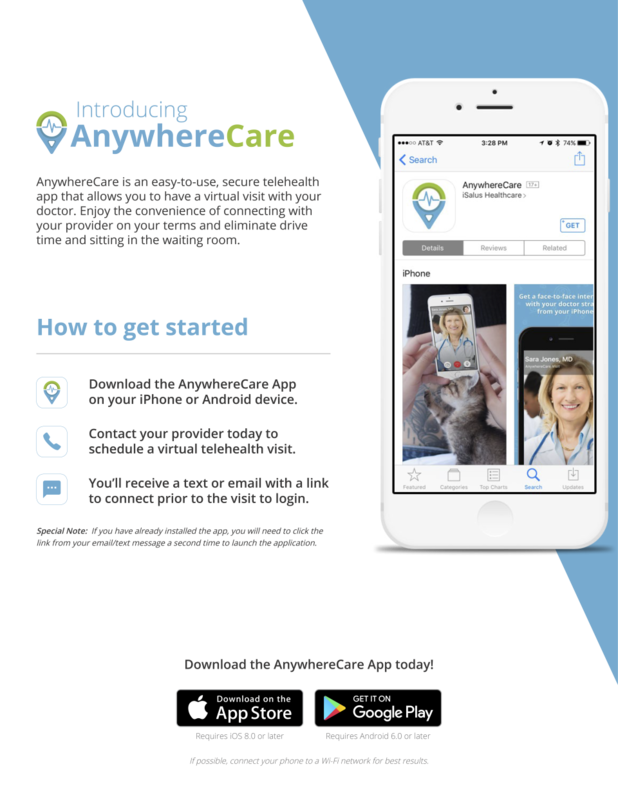 AnywhereCare can be used independently so you can still expand access to your practice for your patients. 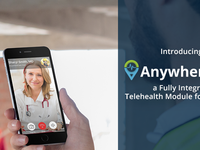 Includes: Easy billing, Geo-Based technology, patient-text notification and more. Pros: The Isalus system allows nothing to be hidden. As a billing company we have used it for 15 years and it is our chosen platform and very comparative in cost. Most software ran requires massive amounts of reports to find problems. However in Isalus everything you need will return on one screen. Submitting claims in Isalus is quick and easy. As a billing company we run 3 different billing software for multiple different clients of differing specializes . Isalus is our chosen because submitting claims and posting payments takes mere minutes versus hours on the other two platforms and less app crashes. Clearinghouse reports are integrated which is a hugh time saver and does not allow rejected claims to fall thru the cracks. This system does not allow for deletion which at times is bothersome for example in deposit posting, but in the big scheme of things is very minuet, and actual is a plus from a business owners prospective, as it does not allow for things to be covered up or hidden, remember we are taking about a potential legal record and or HIPAA documentation. - you can always document the error in writing via a note or pop up in the system if it is deposit related, or demographic related change the name on the account to not make it inactive. As far as charge entry deletion for correction are available we typical chose not to do that and back out the charge with an adjustment and re enter as a new corrected record to document the event and preserve integrity of the record. Cons: Screens and reports are small print. Collection letter is lacking functionality. Does not integrate with a merchant service for integrated credit card processing. However all in all those things are very unimportant in the scheme of review when comparing to the other two software we are forced to use due to a emr integration. Pros: Fully integrated, able to choose various parts of the product that we need, don't have to pay for what we don't need. High level of information available from one screen and pop-ups. Scheduling and Billing MD are superlative! Cons: Because Isalus has so many features and allows the user to do so many things, there is some learning curve. Give yourself time, ask questions, and you'll get it! Overall: We are a small, single provider medical speech pathology practice. We knew that electronic medical records would benefit the business, but weren't sure which company to use since we were so small. We found Isalus, and we are so glad we did. We utilize the following parts of Isalus: electronic scheduling and reminders, electronic medical records and billing m.d. We transitioned our patient scheduling and electronic medical records into Isalus in late 2015. Because our records were mainly on paper, I did a substantial amount of data entry in order to get all our active patients loaded into Isalus. I found the data entry screens to be easy to navigate. The electronic scheduling system built into Isalus is great. We subscribe to the reminder service, and that has cut our no-shows and late cancels dramatically. It's simple to move and cancel patients and schedule recurring appointments (something essential to the type of practice we have). -I am in control of the billing from start to finish: our provider gives me the information for the superbills (he doesn't want to do them himself), and I enter them quickly at the end of the day. -I can submit claims immediately --- our old vendor only submitted claims once or twice a week. By having the control over claims submission, I have dramatically reduced the turnaround time to receive payment from insurance companies. -EOBs go straight into Billing MD, cutting down errors and dramatically reducing the time I used to spend accessing, printing, deciphering, entering and posting insurance payments. -Printing invoices is slick. All I had to do was find an envelope vendor! The best part of Billing MD is how much information I can access on an individual patient: patient demographic, insurance information, history of claims, detail of claims, payment, patient balance .... all basically from one screen. The support team has been TERRIFIC. Recommendations to other buyers: I recommend going on line with one part of the product at a time. We began with scheduling and EMR, added Billing MD later. It worked slick! Comments: We started using iSalus after trying two other online EMR and billing programs. We're were trying to go "cheap" and the first one we used was a total disaster (like, something from the early 80's), and the second one we tried was not bad, but we came up against barriers several times that they didn't think were very important (thus refused to fix), and their customer service was horrific. WELL, then we tried iSALUS - and WOW, WHAT AN IMPROVEMENT! The program is very professional (definitely "21st century/current technology" driven), way more than we expected. It is easy to use and easy to learn - so the transition was very smooth. I love the scheduler, and of course everything else interconnects, so my records, billing, history, etc. is right there at my fingertips. I personally don't deal much with the billing end, but the person that works for me has picked it up pretty quick. Our psychologist (who is definitely NOT tech savvy) has found doing his progress notes, treatment plans, etc. on iSalus's EMR a breeze! iSalus has set up the customer service in a unique way as well - so in the beginning, you have your own personal customer advocate to help you through the transition process, and a specific number of hours are dedicated to tailoring your iSalus experience specific to your practice needs. Awesome! Once the transition is complete, you move to a regular customer service department that seems to be very knowledgeable and very responsive. Now, the MOST EXCITING part (for me) is that I can now use the program on my Mac! Very important, as I don't like carrying around 2 computers when I work at home or on the road. Conclusion - Great program, fair price (way less than one that I looked at that was comparable), wonderful customer service, and a company dedicated to being the best. Love it! Pros: Ease of use, professional/technologically up-to-date, GREAT customer service, fair price for what you get (It's really does way more than we imagined! ), it is now Mac-friendly (!). Cons: Really, I can't think of anything. Before they rolled out the Mac-friendly program it was difficult (I had to carry 2 computers) - but that changed this month. Comments: This software is advertised as being free. As expected, that claim is to good to be true. The program is free, however the training is not. They have created a bunch of training videos that will explain all the features of the software, however unless you are paying the fees you have no access to the videos. 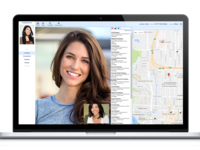 The software seems like it works well and has all the features that a clinician/clinic would need including easy scheduling and billing. I think the charting portion is more complicated and less intuitive than it should be. The customer service department is really nice and helpful, but it is not possible to make use of the free platform and becomes cost prohibitive for a small physical therapy practice. Pros: Easy scheduling. Nice customer service. Cons: The biggest drawback to to this software is that it will not work with Google Chrome. I think it is designed to work well with apple products, but not with a pc using Google Chrome. It does open with internet explorer, but it is really inconvenient to have to go back and forth between Chrome and Explorer. As I have already mentioned, this software is not actually free as advertised unless you never need to ask a question or have a problem with the program. It is cost prohibitive for a small PT practice. Recommendations to other buyers: This product is only free if you don't ever need help. It is really frustrating to set everything up, do the free portion of the training only to find out that it is actually cost prohibitive for a small practice because the reality is that you will end up needing help and it will cost you. I think the idea with the business model is that they will get you set up, then rope you into paying for the service because you will have already invested so much time in training. Pros: @ $/month / per doctor, nothing beats its functionality. Powerful structure - can expand easily Modifiable - For a fee (some incl. in initial purchase), iSALUS can make the Notes section meet you personal needs so taking thorough notes does not interfere with pt care/attention. Cons: The accounting does not update in real-time. This means a receipt you give the patient will ONLY include their payment (without the balance) OR it will include EVERYTHING EXCEPT the payment they just made. Printing a statement with the patient's or insur. previous payments requires navigating through approx 4 windows, LITERALLY. Even finding their balance requires almost that same degree of navigation. ...and even then, is this their PRESENT balance, or do I need to wait for the day's-end "batch closing" to know what the REALLY owe. There is VERY LITTLE that is intuitive about this program. Having used Medisoft, Office Ally's EHR, Autumn8, and evaluating numerous others, this program was made by accountants not clinicians. Comments: When shopping for an EMR and Billing solution, the Isalus sales staff were the best. But it was a classic case of over-promising and under-delivery. I admit, I am not a billing clerk, just a therapist. But I have used 4 other EMR programs for other companies in the best. Office EMR is overly complicated, in terms of the number of clicks or steps required to complete any action. On any given screen or section of the program, there are lots of icons and tabs, but nothing is intuitive. Worse than that, when you are learning the system, they provide long boring video tutorials with way too much detail about what every single button does. They don't provide written directions or quick start guides. So if you watched that video 3 months ago, you have nothing to refer to. They want you to watch the video again and again. Honestly, who has time for that? I have had the unfortunate experience of needing technical support because a session note disappeared, or a claim could not be found. The IT department has been very slow to respond. Since they are in another time zone and seem to quit at 5:00, there is a slow response time. When I first signed up for the program a year ago, I was told the program would run on other internet browsers within two months. That 'alternative fact' is still not true after a year of new promises that were not kept. We are not pleased that this system has not increased our reimbursements from insurance companies. That was the main reason we were willing to go ahead and commit to them. But with all the headaches and disappointments, our company is planning to move to a more user friendly product that will run on something besides Internet Explorer. The cumbersome set up and procedures for session notes and evaluations is one of the most difficult I could imagine. Pros: Friendly sales staff created great initial impression. Cons: Difficulty of completely all tasks within the system. So many steps that have to be remembered due to user-unfriendly nature of the system and overly-complex set up. This reminds me of when I started using a IBM-style computer decades ago (before Apple came out with a user friendly operating system) and got the C: on the start up screen. The system is that un-helpful. Staff referring you to watch a video when you have a situation. If the videos were short and to the point, that would be help. They are not. Cons: inconsistent report info, if you have features you'd like to have it costs money to have them implemented. 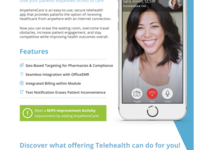 Pros: The software is easy to get around compared to other EHR systems I have used. Easy to add new patients. Cons: Freezes up from time to time. Seems to have a mind of its own from time to time. At times it is difficult to add documents to patients file. Comments: I'm still in inital stages of setting it up for my practice. So far, I have had a very positive experience in terms of timeliness, organization and direction with the set up process. I am being trained to navigate and customize the software to my needs. I'm looking forward to completing this process and becoming alive soon. Pros: Easy to navigate, training videos, customized taining videos are very helpful. This program is unique in the sense that it offers the flexibility to operate with solo provider at very affordable price to a multi provider of office type practice. Offers completly paperless options, ease of scheduling through phone or laptop from anywhere. Comments: The EHR software has a lot of great features and templates for ease of use. It does take a little getting used to, but there are multiple links to get refreshed if you forget the right path for completing a task. iSalus gives you the option of doing your own billing with several package price points, or taking care of your billing for you. They are not heavy in the sales side, but truly listen to your needs and guide you toward cost effective options. Pros: Customer Service is great. You are assigned someone from both the EHR side and the billing side to assist you with onboarding and set up. They are very responsive to questions. Cons: Takes a while to learn all the functionality of all the features, less intuitive than it seemed at first. But is does have lots of options for finding the information you need. Comments: This software has been extremely easy to integrate in our office. Thankfully they customized so many areas to make it fit into our practice. Many of the features are built for Medical Offices, but they customized it to work with our Chiropractor practice. I think the engineering and integration team at iSALUS has been a huge bonus. Pros: The software has been very reliable compared to previous software that we have used. There has been little to no downtime whatsoever. Cons: There are a few areas of the product that are inconvenient and that is being unable to delete charts that were done in error, as well as, deleting accounts that are no longer needed. Having to use Internet Explorer, from an IT standpoint, has been a huge downside. Is this a deal breaker? Absolutely not. Pros: The scheduler and mobile application. It's limited but I can see who is scheduled for my day. Cons: Customer support and the inability to edit my progress notes and treatment plans. And, training. Overall: I am only a user of the software. In both situations , The employer requested vendors to modify software to be used by mental health practitioners. In contrast to PIMSY, This software lacks intuitive use , extremely poor customer support even for simple things such as printing off reports and provides no tutorials on how to use the software. My colleagues wrote up the instructions for how to get in and out of the modules. Yes, I'm writing this out of frustration, but I need to use it every day, and printing out one report should not take more than an hour and a half. Sometimes treatment plans have to be provided to outside sources such as court. I can write up what I need faster than inputting it and processing it in this system. Recommendations to other buyers: Make sure your vendor understands its promises. If it states I can modify medical software for mental health practitioners, it better be able to do so. And, I am only talking about simple requirements such as print functions, accessibility , written instructions , And help desk support for users. Pros: iSalus EHR is highly efficient and very easy to use. I got the hang of the layout pretty easily and it's very confidentially with patient information. Cons: The software could use some mi or improvements in order to better customize the program for individuals. Pros: Very good support and applications. Specific information about areas of interest.Very insightful. Ease of use. Cons: Representative attitude and ease of navigation. Initial follow up with support with the software very minimal. Comments: Isalus talks a big game RE customization but we've used them for 5 years and nothing ever improves. They also engage in billing strategies that at best are suspect and at worst, by some people, might be classified as racketeering. Pros: Price is minimal for electronic software (free) however if you choose to use the billing option you pay a fee. Cons: The fee for electronic billing software should be kept minimal, better way of faxing or scanning in paper records. The transition has been easy, with a huge thanks to Austin!! He was the best. Pros: The whole system has been easy to navigate and everything that I need can be found in one place.. plus the tech support has been so helpful in answering any questions and guiding me through the way. Cons: At first I did not like that you had to use the ID card to pull up all the demographics and insurance info, but have since then gotten used to it. Overall: The ease of use. Pros: The product is easy to access and go between scheduler and EMR. It's easy to find what you are looking for in the EMR (ex. - letters, prescriptions, etc.). Search is easy. Cons: After the most recent update, you can't save Country in patient setup. You can't close out of a patient after you just pulled them up in the EMR. I like to close each patient out when I'm done so I make sure not to save any notes, etc. under the wrong patient. Recommendations to other buyers: Give it time. It seems like a lot to learn at first, but it's actually pretty self-explanatory, and anything you want or need to do to can usually be done. You just might need someone to come out and train you. I am an office administrator and use iSalus in every aspect of my job. 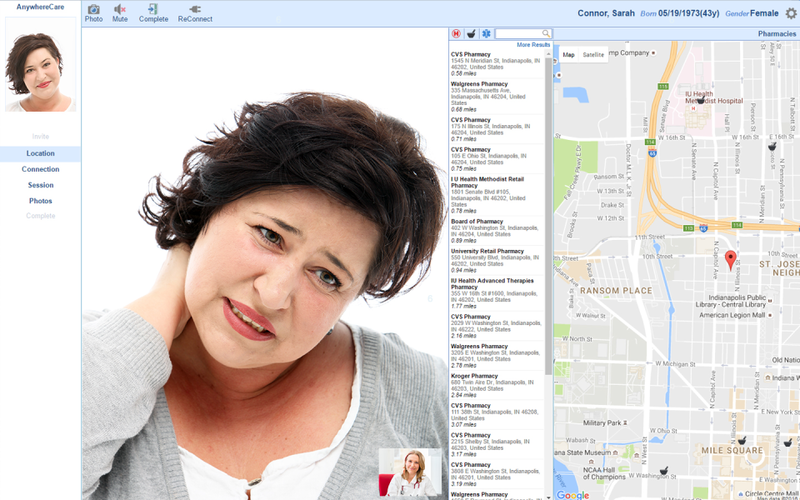 Pros: iSalus replaces appointment books, receipts, etc., making patient check in/out, taking payment, receipts, etc. much easier. Cons: I'm not a fan of some of the changes that occur (without warning), and when I open iSalus, I have to go through all the training before I can check in patients. Many of the changes are great, but it seems like when one change occurs, a few others (which were working well before) will have problems. Ex: Unable to enter data in certain areas that I could before. Recommendations to other buyers: It is a wonderful system and extremely helpful in so many areas. Be aware that changes can occur at any time. Chiropractors stay clear away from this. Slow, complicated, terrible notes, not a good fit. Pros: The automatic payment posting is nice. The ability to scan directly into a patient's record is nice. The initiation team is good. The calendar is pretty good and appointment reminders are nice. Comments: The iSalus integrated software has great functionality and is easy to use. The support is prompt and knowledgeable. Pros: I love the look of the product. The product learns and builds lists according to most common choices within the system. Recommendations to other buyers: iSalus has all of the features of some software behemoths at a fraction of the cost. It is worth a look no matter your practice size! Comments: iSalus is very easy to use, with customized features and easy to navigate drop down menus and pre filled items for your practice making it worth the expense in exchange for the amount of time you save. 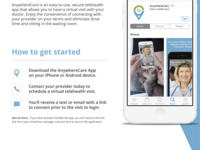 It also has a mobile app which can be utilized to document on the go using your mobile device's voice dictation feature. Cons: The time it takes to complete customizing. Recommendations to other buyers: I'd go for it! Recommendations to other buyers: Wait a while and purchase after iSalus reacts to the current implementation problems/ issues. Pros: It is comprehensive! We love the product...it is very comprehensive covers all of are needs. It is also perfect for a small office the initial investment and on going costs are something we could afford. Cons: Launching the product was rough....the follow up the the person Shawn, could have been better, he was great when I called him, but since we did not know what we did not know..made it a little frustrating. Learned alot on our own. HOWEVER the billing person was AWESOME. He was available, even after our training. We did not realize how much WE had to do to get insurances set up. so it took a while. Recommendations to other buyers: Get a launch schedule up front schedule all trainings and get an understanding on how to follow-up. 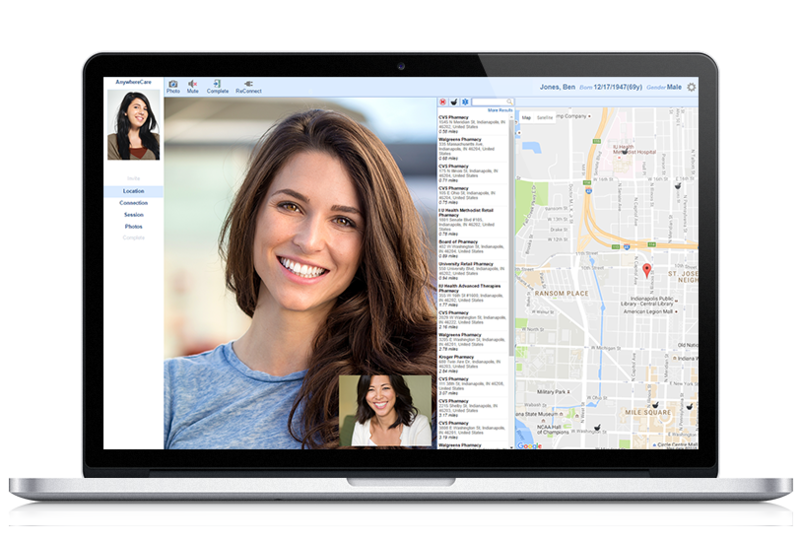 Pros: The software is integrative and it includes many pages and features that are useful and necessary to run a practice. Cons: The Scheduling and billing components are easy to use. However, as the administrator, I can't always tell what the other users can or can't see or do. Pros: Software is easy to use and they customize to how you want it to match your work flows and they do it fast. Cons: I am still learning the reports but that is more my issue then theirs. I still need to do more training on this area so I am sure it will work it out. Pros: The pricing and amount of functionality of the software where it's selling points. Cons: I found the software was not as robust as other offerings in the marketplace. Recommendations to other buyers: I recommend that everyone demo each EHR record software in order to assess whether it fulfills their needs. Comments: Do yourself a favor and shop around. You will be kicking yourself for signing on to this system, just like I am now. Pros: Customized for use in my field and for the needs of this office. Easy to use! Cons: There is only an application for iPad and nothing for Android users. Recommendations to other buyers: Make sure that you don't have to tweak every function of an EMR for your use. Pros: Great support is provided to both learn the system and fix problems. Cons: Sometimes it is difficult to get all of it to work when using a different computer. Recommendations to other buyers: Try it out; look at everything they have to offer. Pros: Easy to use and navigate. Cons: My communications are doubled and flashes. I have to click several times so it will quit flashing so I can read my emails. Recommendations to other buyers: Try it. It is easy to learn and has many features. Difficult to Navigate through SOAP Note!! Pros: The scheduler and patient registration system are extremely user friendly and easy to navigate! Cons: Sometimes, things you select to place into the SOAP note do not populate on the Summary. It is also annoying to have to navigate to a different page to access Exams and Templates for the Objective data, while everything else is on the Assessment screen. You also have no way of seeing what exams and templates you have put in without navigating to some other History page...just cumbersome! Recommendations to other buyers: Call the help guys as many times as you need to in order to understand how to navigate through a "simple" SOAP note. Pros: Free EHS documenting, billing program seems stream lined and convenient. Customer service is helpful and really enjoy having the option of using free EHR and then transitioning to convenient billing options if I need in the future. Comments: Great software and options for mental health clinicians, one of the best I have tried. Good customer service. Pros: Easy to use, great screening options, forms.